Okay, I admit few games have only few things that I could look into then I decide, I will just play the game and make another segmentation to the blog posts! I was like, What the hell is this? 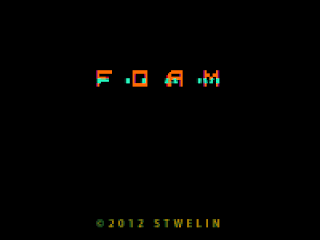 this is Foam, first game ever created by Stwelin, congrats Stwelin you smoke weed too much. I am in love with the style. I really love the palette, isometric style and how everything is being put together, oh my, sureagasm. Similar to any other awesome formula to present your game is, by tricking the player to think that it is a so so game at first then suddenly I will blow my mic : "What the flock!" 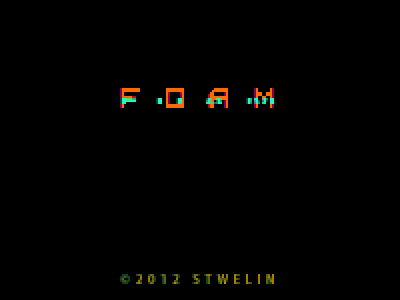 , this game is indeed a puzzle exploration game in LSD plus creepiness by pixel distorted figures inside the game. It is pretty short and I actually finished the game and feel that there is more in that game to do, it turns out to be yes! it has multiple ending and even death scene which is I am not sure why it could happen since there is no fighting mechanic inside the game. Weird and puzzled feeling somewhat drives me throughout the game while I am actually not a fan of exploration and backtracking metroid rip-off(no offense). I am actually satisfied and loving this game. Congratulation for your first game! it was trippy. Seriously dude? what did you smoke? pixelated isometric exploration game with little bit of puzzles and puzzling creator thoughts. Couple years ago actually I played this kind of trippy game that is made by using RPG maker engine, oh my oh my I am getting old and no game ever completed.